Q: What was the primary source of growth for your membership site? As if designing and building a site with compelling content weren’t challenging enough, once you launch your site, you’ll quickly discover that the real work has just begun! We’re all bombarded by a sea of advertising, media, and conflicting messages that compete for our attention on a daily basis. So, how can you ensure your site rises above the “noise?” How do you connect with your potential audience and help them discover your site? There are number of methods for ensuring your site gets noticed, but you’ll quickly find that the costs are inversely proportional to the amount of time and effort required to make that method succeed. For example, pay-per-click advertising can be very expensive, but requires little effort on your part. On the other hand, word of mouth is completely free and has the greatest potential to convert visitors into paying members, but it takes significant time and effort to build traffic from this method alone. So in the beginning, you may find that a combination of these strategies will work best. Over time, you should be able to scale back your advertising costs, and rely more on word of mouth. Still, the easiest and quickest way to get eyeballs on your site during those critical first days after launch is to simply pay for traffic by advertising on other sites. PPC advertising can be very expensive, but requires the least amount of effort on your part. Simply set up a Google AdWords account, create an ad campaign, choose how much you’d like to spend, and watch the visitors begin to arrive at your site! Well, you’ll also spend a good deal of time monitoring and tweaking your campaign, and there are a couple of other downsides. First of all, PPC advertising can be prohibitively expensive, particularly in highly competitive markets. You can target niche markets or less popular search phrases, which will help stretch your advertising dollars as far as possible. For example, it costs far less to advertise for the keyword phrase, “personal trainer in Houston” than a more popular search phrase like, “personal trainer.” Obviously, you’ll get more traffic by targeting more popular keyword phrases, but you’ll also pay a great deal more per click, since they’re more competitive. Even making use of this strategy (choosing less expensive “long-tail” keyword phrases), during the first few years following WP101’s launch, I still paid more than $20,000 annually in pay-per-click advertising costs. It also took some costly experimentation to find the conversion rate — the percentage of folks who actually signed up on my site after clicking an ad. Striking that perfect balance between the maximum price you can afford to pay for each click and the value of a subsequent signup, can be very challenging. At times, I paid as much as 50% of the value of a signup! Still, PPC advertising was the primary method for increasing traffic to my site in the early days. Remarketing (or retargeting) lets you show ads to people who’ve previously visited your website even as they browse other sites on the Web. This can ensure that your site stays “top of mind,” and folks are more likely to return to your site after seeing your ads several times on other sites they already frequent and trust. This method wasn’t available to me when I first began advertising on Google, but in my opinion it’s much more effective than traditional search advertising. I’ve only just begun experimenting with it recently, but the conversion rate is almost double what I used to achieve with regular search advertising. If you’re gonna spend money on PPC advertising, I’d recommend you begin with a remarketing campaign, or at least run one alongside your search campaign so you can compare the results and then move forward with the one that converts the best. Despite recent research that claims folks no longer click on banner ads, the most effective advertising I’ve done so far has been strategically-placed banner ads on related sites. BuySellAds has an impressive directory of sites on which you can advertise, organized by a wide variety of interests. 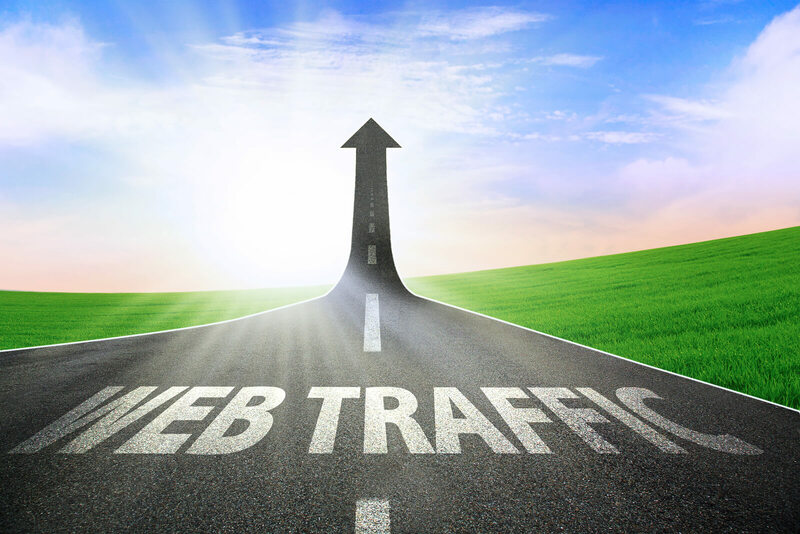 You can research details on each site’s traffic, and choose the one(s) that best fit your budget and target audience. Find the sites that are being frequented by your potential audience, and advertise on just those few sites. FWIW, this is the only method of paid advertising that I still use today, and the conversion rates are significantly higher than PPC or other forms of paid advertising I’ve tried. TIP: When creating banner ads, make sure they speak directly to the interests and needs of your audience, rather than just promoting your company name and web address. People don’t care about who you are (yet), but they will… once they feel that you “get” them and care about their needs. One of the best forms of publicity is an unbiased review of your site by an industry news site or blog author. In addition to reaching audiences that you might not otherwise be able to reach on your own, you’ll also benefit by reading about their experience with your site or product. This information can be invaluable in helping you refine your signup process, marketing verbiage, or even the offering itself. You’ll likely get the best responses if you personally reach out to blog authors via email or Twitter, asking them if they wouldn’t mind taking a free “sneak peek” at your site pre-launch, and then provide feedback to you about their experience. You might also offer them a unique coupon code that they can promote to their audience should they choose to write a review about your site. If you have an affiliate program in place, you might invite them to become an affiliate so they can earn a generous commission on any referrals they send your way. Keep in mind, many blog authors prefer *not* to be compensated in any way for their reviews, to ensure that they’re completely unbiased and that their reviews are the most credible. If someone is willing to invest the time and effort to help me spread the word about WP101, I’m more than happy to pay them an affiliate commission to make it worthwhile. A few years ago, we began sponsoring local WordCamps, which are informal, community-organized events that bring together WordPress users of all skill levels to learn, share ideas, and get to know each other. These events have become an integral part of our outreach strategy, for a number of reasons. Obviously, there is no better way to connect with our core audience — WordPress beginners — than through these intimate, face-to-face events. But we’ve also built key relationships with the event organizers and other WordPress professionals, who are then more likely to recommend WP101 to their own clients. Even better, it enables us to give back to the WordPress community in a meaningful way, ensuring that these learning opportunities continue to be available for years to come. There really is no substitute for face-to-face interaction with the people you intend to serve, so consider sponsoring local events that serve your core audience while providing you the opportunity to connect with people in person. According to Nielsen, the most trusted forms of advertising are recommendations from personal acquaintances or opinions posted by other consumers online. A whopping 90% of consumers surveyed stated that they trust recommendations from people they know, while 70% trusted consumer opinions posted online. People buy based on the recommendations of other people they trust. On nearly every page of our site, we’ve included social sharing buttons that make it easy to share our content with your friends on your favorite social networks: Twitter, Facebook, LinkedIn, Pinterest, etc. As I mentioned before, we have an affiliate program that pays a generous commission for referrals, making it well worth the time and effort to help us spread the word about WP101. We all like to share things that make us look good. So we’ll soon be adding “achievements” to our site, which will award badges for completing our tutorial series and other tasks along the way. We’ll make it easy for folks to broadcast their accomplishments via their favorite social networks. That’s really the best way to ensure that people will help you spread the word. If possible, connect with other professionals who are also serving your audience and incentivize them to send their customers your way. When I initially launched WP101, my marketing efforts were focused solely on the end user — the people my site intended to serve. Over time, I came to realize that my site also offered a huge benefit to other WordPress professionals who faced the same challenge… training their clients how to use WordPress. I created our affiliate program primarily to serve these professionals, offering a financial incentive for them to send their clients to our site for this critical training. We even created a new product — our WP101 Plugin — that makes life easier for these professionals, and enables them to provide additional value to their clients. So today, our marketing and efforts are equally geared toward both the end users and these WordPress professionals. So give thought to other ways you might put your unique content to work for additional audiences. You might be surprised at where this thought process leads you! These two books provide invaluable insight into why people buy and why things catch on. Add these to your reading list and let these two authors show you how to ensure your site gets noticed! Thank you Shawn, for sharing this article. The fact that your examples included your own personal experience made it all much more understandable.